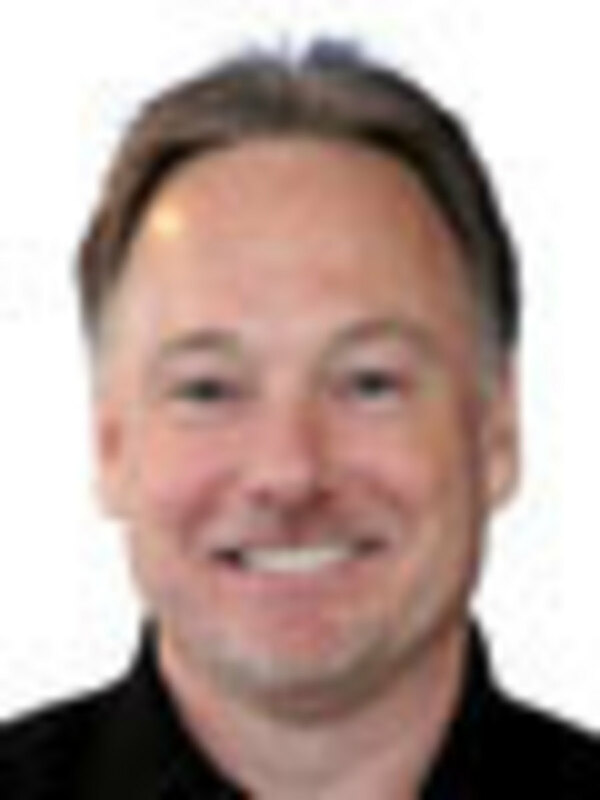 Tom Douglass, 56, is vice president of global sales and marketing for Teleflex Marine, where he has worked since 1989. He was with Sierra International from 1982 to 1988, where his last position was general manager. 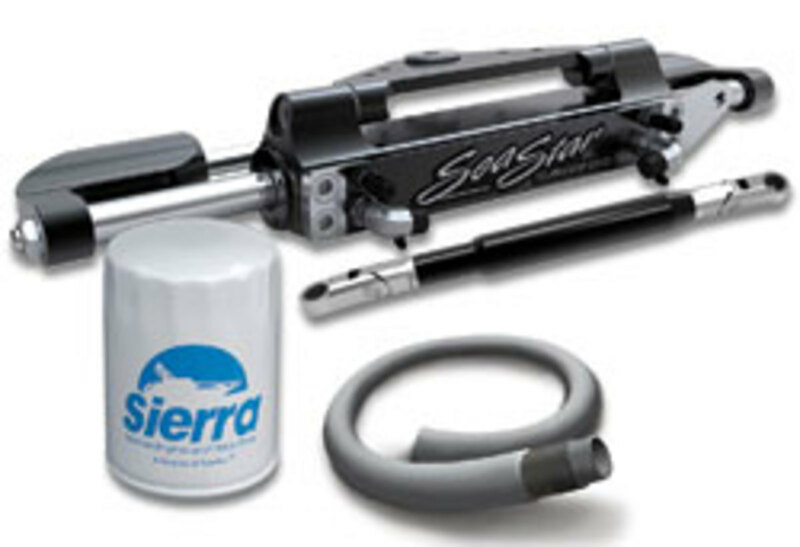 In 2001, Teleflex acquired Sierra when it bought Morse Controls. Douglass was part of the Teleflex Marine senior management team that worked with H.I.G. Capital during its bid to acquire Teleflex Marine from Teleflex Inc.
Douglass has served on the board of the National Marine Manufacturers Association and its accessories board. He currently sits on the Marine Equipment Trade Show’s show committee. He attended Kent State University. 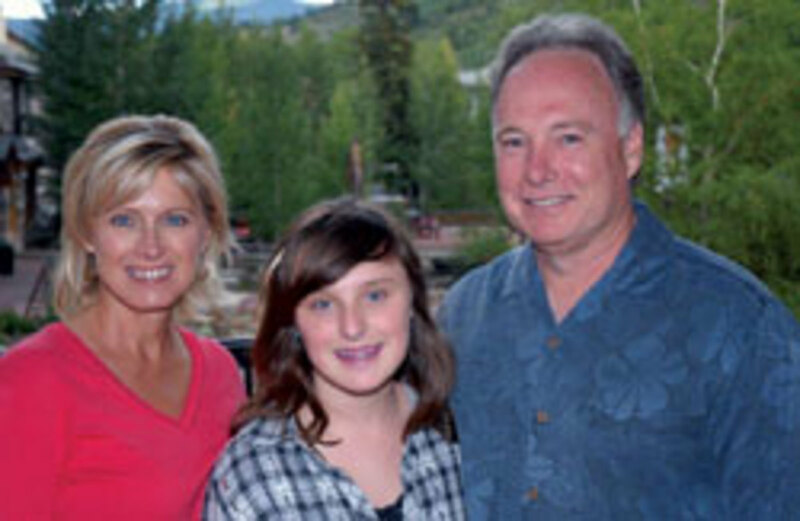 Douglass is married and has one son, two daughters and a grandson. He lives in St. Charles, Mo., and enjoys sporting events and traveling internationally. Q: Earlier this year Teleflex Marine was purchased by H.I.G. Can you talk about what led up to the decision by your former parent company to sell Teleflex Marine? A: Over the last few years, Teleflex wanted to be more focused on the medical industry. It had been diversified with other portfolios like the commercial group, where there was automotive, industrial and the marine industries, the aerospace industry and then there was medical. Somewhere along the way Teleflex saw its future in medical, so it began divesting its non-medical portfolios. Automotive and industrial went first. There was some aerospace that had gone after that, before eventually divesting Teleflex Marine. Essentially that was the reason; they want to be a pure medical player. There’s always nervousness when you hear that your parent [company] is thinking about getting out of certain industries, but we talked to our employees a lot. We told them not to worry. We are a global brand, and someone who will take us will be buying us because we’re a good company, and not for any other reason. Q: What made your business attractive to H.I.G.? A: H.I.G. looks for companies of the size of Teleflex Marine. They invest in well-managed companies that have potential for growth. They like solid management teams that come with those businesses as well, and we just fit their model. What made us attractive was that we have strong brands, strong market positions — particularly with the new boats, as well as the aftermarket, long-term customer relationships, quality-engineered products and dedicated employees with lots of experience who have been through the peaks and the valleys of the industry. We right-sized our company quickly when the market experienced a downturn in ’08, and by the middle of ’09 we had finished our plant consolidation and were ready for increased boat production that we finally saw in 2009 and 2010. H.I.G. just saw the opportunity to acquire a strong company in a market that had already bottomed out and is ready for growth again. I think all of the stars were in alignment for how they buy a company. 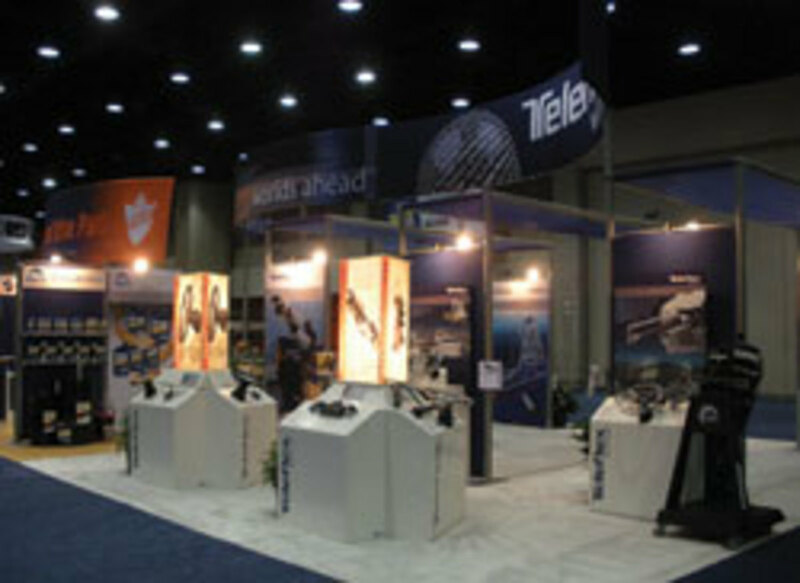 Teleflex Marine is their only marine-related company. Q: What has changed since your purchase earlier this year in terms of operations, staffing or product lines? A: We have the same management team as before, and that management team will remain in place and we will continue to manage the business with the same discipline we have in the last three years. There hasn’t really been any change in the organization or in the manufacturing plants since the acquisition. We are adding people … for some of the roles that were performed by our Teleflex corporate group, but other than that it’s business as usual. The major change for us is that before the acquisition the marine group was not part of the core growth strategy at Teleflex Inc. However, now that we are on our own we have the opportunity to implement the growth strategy that we have been hoping for. That’s a really exciting thing for us. We’re not being thought of as part of a portfolio. We’re actually the marine group and we can do more of what our own internal strategies are. We are planning to grow the company by adding products to our portfolio. Some of those products have been in development internally for a while and we have a number of new products in the pipeline. The latest one is our hydraulic tournament cylinders that were introduced recently. Some product additions will come from outside of our organization, either through an alliance or acquisition. H.I.G. will certainly play a key role in that area because they are experts in acquiring companies. H.I.G.’s investment provides a financial partner with very deep resources to support our growth, as they manage $8.5 billion in capital. We’ve got resources to grow. Q: Are any acquisitions planned in the near future? A: We get opportunities brought to us weekly, and we’re always reviewing what would be a strategic fit. Q: Can you talk about the OEM versus aftermarket sectors of the market? Where are you seeing more growth? Which sector was most affected during the downturn? A: The decline in new-boat production was extremely hard for everyone, including Teleflex Marine. But fortunately we saw that coming sooner than others maybe did. During 2008 and 2009 … we made difficult adjustments in our business, and they were certainly necessary, given the size of the market. It was this focus on a new footprint for our business that allowed us to remain strong and ready. The last two years have been a welcomed comeback in the new-boat market. That’s been some nice growth. But understand it was so poor that growth has not come back to the heydays. The old days were much, much better than 2009 and 2010 and this year. We feel the amount of new units produced has a new water level and will not get back to 2007 levels in the short term. Wholesale will follow retail sales closely, as dealers and boatbuilders try to keep their inventory of new boats to a minimum. You read this a lot from lots of industry people, like the ones from Mercury and [Brunswick Boat Group]. It’s finally to a point where we’re producing boats today where that boat has probably been sold and I think that’s good for the industry. This puts additional pressure on boatbuilders and us as their supplier to deliver just in time, but we are working closely with our customers to improve our visibility into their future requirements. When the market went down as rapidly as it did, we had all the inventory in the world and we had to make some adjustments. When it ramped back up it was rapid and that was the difficult part. Now it’s stabilized and it’s a lot easier for us to meet our customers’ needs. The aftermarket has performed well in the last few years because the boating lifestyle is very popular. Even when people do not buy new boats like they did before, they still love boating. Aftermarket always seems to do a little better when there might be issues on the boatbuilder side of things. If new boats aren’t being produced, the aftermarket still hangs in there. Our focus is profitable growth based on new-boat production, with the addition of new products as well as aftermarket replacement parts, since people will continue to enjoy the lifestyle. Q: Do you think the marine industry has turned the corner? What is your company forecasting for the remainder of 2011 and 2012? A: Some segments of the new-boat market have turned the corner; some are really struggling. Sterndrives, for example, are still struggling, while pontoons are experiencing strong growth. I think it just all depends on the type of boat and the segment that you’re in. The boats came back, but they came back to a new level — not to the levels prior to 2007. There was a concern for the dealer market a few years ago, and those that remain seem to have adjusted to new water levels as well. We certainly need strong dealers, and it looks like those that have remained have come out pretty strong. Our aftermarket remains successful because of those dealers. Now the international marketplace is struggling, particularly in Europe. Many well-known boat companies are no longer around. Those that remain have to deal with a lot of the same issues that the North American builders [do], from an economic perspective. You think about interest rates and the ability to get bank loans and things of that nature. It’s taking its toll on the European marketplace right now. But, since the downturn, we have experienced steady growth and we expect this trend to continue. We’re predicting that our sales will be up [in 2012]. There won’t be huge spikes, but it will be a nice growth pattern for us. We have a long list of new products and opportunities coming in our direction, so that’s going to help fuel some of our growth, as well. [As for] the boatbuilder forecast, we can only take what NMMA suggests and what we heard from some of our customers and kind of blend it into our own thought process to help us manage our business. Q: Which products are your biggest sellers? A: We focus on products that are highly engineered, that provide unique and superior performance so that they translate into a better boating experience. You can see some of the products that are coming out today from other companies, particularly engine manufacturers. There is some real opportunity in the new technology. We’re focused a lot in there — and that’s from our Teleflex brand perspective. In the aftermarket, in particular, we are focusing on quality service parts that help dealers be more profitable, and we’re also working on our internal ways of doing business to make it more efficient and reduce the time required to repair boats. Getting parts to the dealer quickly is important. We do that through our distributors. Our success in the past and today is due to our unparalleled service in warranty, customer service, delivery, technical service and breadth of product coverage. All of those things have to be strong in order for us to continue to grow, and we think we’ve accomplished that. Q: Can you talk about your dealer network and how it changed during the downturn and where it stands today? A: That dealer network has probably been one of the bright spots. The Teleflex/Sierra dealer network is something we have had for several years. During the downturn we invested heavily into more dealer communications, and most recently we added the Teleflex Onboard Rewards Program. Dealers who have signed up for the program enjoy monthly communications that focus on products and success stories. The dealers can get technical information and it allows us to tell our story to them. In addition, they can earn reward points from online training modules and for buying some of our key products. Imagine rewards that you can get from an airline or other types of companies by filling out surveys or getting training or just buying products. That’s what this program does. We really upgraded our website; it’s very comprehensive and allows access to all information about our products, as well as being able to watch videos on many products. We have dealers from all regions of the United States and we continue to sign new members daily. The dealer network site also improves monthly as we add more training modules and more opportunities to earn rewards. Q: What kinds of new technology is your company using these days and how is it helping your business? A: Some of our technology is home-grown, such as our recent announcement of our online order portal that allows our distributors to see inside of our inventory, make a purchase and have us send products direct to their dealers. They can even select the freight company and how quickly they want it to go out. This is a special-order tool that allows faster service and allows the dealer to get parts quickly. Another technology we use is Sales force.com. This is a national company; they’ve been out for several years. Their program allows you to capture data and use that data to manage your business better. We capture more data than ever before about our dealer members and that will allow us to better serve them and our distributors. We just launched Distributor Rewards in September, which allows our direct customers to enjoy rewards for taking the training modules that we have online. I do not want to give away all of our upcoming strategies, but I’ll just say that more is yet to come. A: I don’t make predictions, but you can see the marine industry is not the same marine industry any longer. It is getting more sophisticated, the products are superb and the people will always be some of the best you ever meet. Something I would like to see in the future is more young people in the ranks. When I came into this industry approximately 29 years ago there were lots of well-knowns at that time that took me and many of my friends that are still in the industry under their wings. We would be happy to do the same for the younger generation; we just need to see more people coming up. Government regulation sure makes it tough on our boatbuilders. I hope the future includes affordable boating. Over the long term it is difficult to predict the size of the market, but we know that people love boating and that they will continue to boat.